"In a series that already has a large number and wide range of excellent titles to its credit, I would venture opinion that this volume is one of its best...we have here a major publication of considerable value, not to mention its intrinsic interest. Obviously it will be a necessary acquisition for any specialist collection and for any academic collection where aspects of Old Norse literature and culture may be needed...this will also be a useful addition to major general collections." "...its chapters are crammed full to bursting with facts and figures, references to primary and secondary sources, swift overviews of past scholarship, and (very importantly) present debates. This is ostensibly a reference book, to be consulted on particular issues and subjects. 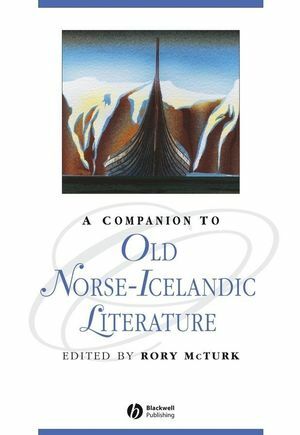 But as with all the best encyclopedias...browsing becomes addictive...Mc Turk's Companion to Old Norse-Icelandic Studies is a great resource for the scholar or graduate student who may think, mistakenly, that he or she is familiar with this field." "No one could read the volume and not learn something, indeed a great deal"